Dubai – The architects agree on one thing: A landmark building is often the result of a few brilliant strokes of the pen. The stylized shape of the Eiffel Tower was ran this way, along with the spectacular Burj Al Arab hotel, which dominates the skyline of Dubai. 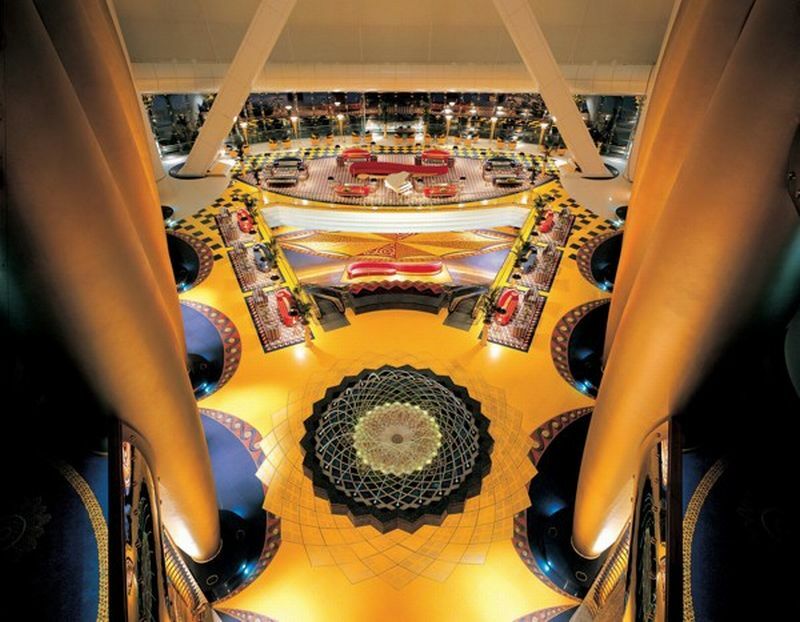 Both buildings in the headlines, each in his own time, and in December, the Burj Al Arab holds its first ten years. The structure, which resembles a giant billowing sail, has become one of the most significant milestones in the Gulf emirate. 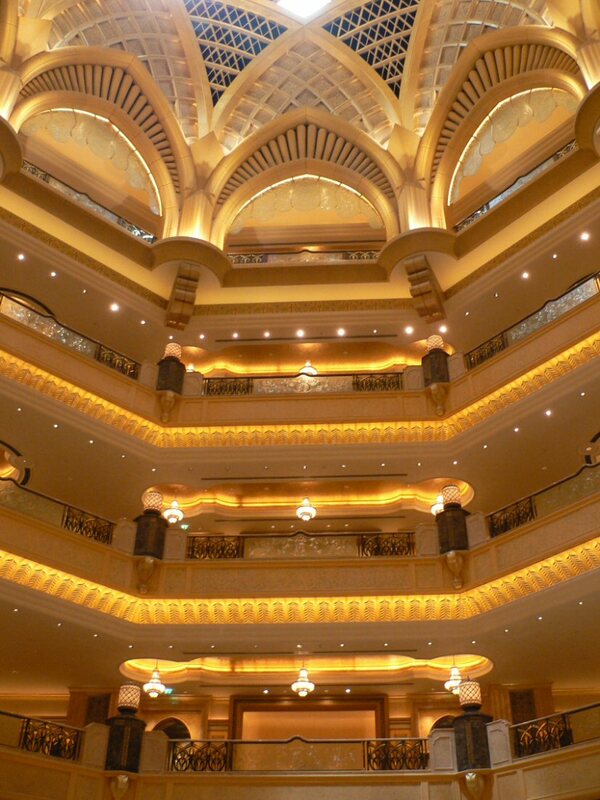 One of the most luxurious and expensive hotels in the world, but much more. The hitherto unknown level of affluence of the building catapulted to fame a decade ago, turning what used to be a haven of Arabs in a meeting point for the rich and famous. “There is a myth that surrounds the hotel. We never claimed to be a seven-star establishment, but we have gained that reputation,” said Heinrich Morio, General Manager of the Burj Al Arab. Perhaps the hotel’s reputation comes from 202 duplex suites lavishly-appointed or the endless 22-karat gold plated surfaces. Adding to the impression of luxury is an unusually large staff of 1,500, whose job is to pamper guests. This equates to seven employees by visitors. Prices are definitely going through the roof – starting at around 2,800 dollars a night. These features made the only hotel when it first opened. “We cater to world’s most demanding clients and the level of expectations is very high,” said Morio coming from Germany. 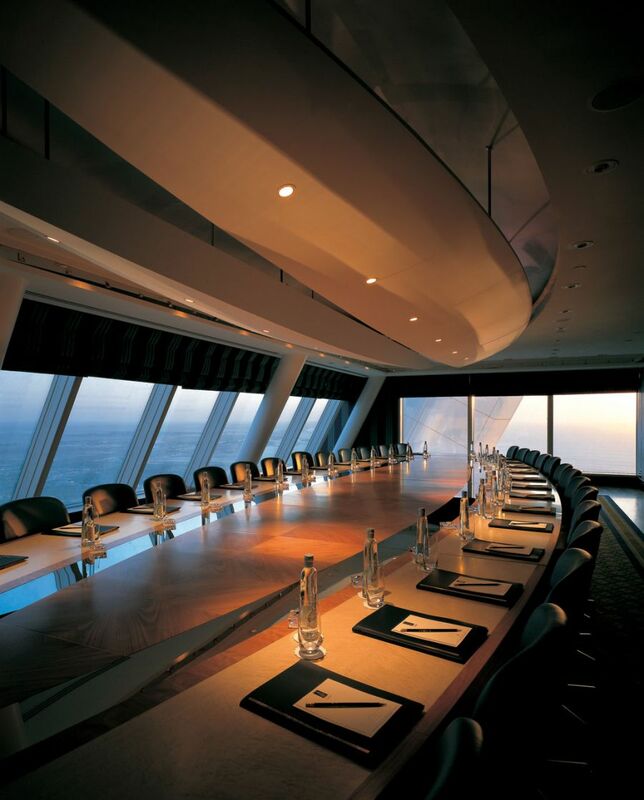 Despite the global economic slowdown, the Burj al Arab has not lowered its prices and is very secretive, he added. Access to the noble house of Arabian hospitality in Jumeirah Beach Road is not as simple as it seems and monitoring road tourists are simply prevented from walking through the entrance. Those without a reservation at one of the restaurants or in a room reserved for the evening are left on view at the 321 meter high space-age structure from the outside. Illustrious guests to a fleet of ten Rolls-Royce limousine driver is available for transport from the airport of the city. The interior of this hotel is best described as sumptuous serenity with fountains in the lobby and all sorts of luxury accessories. 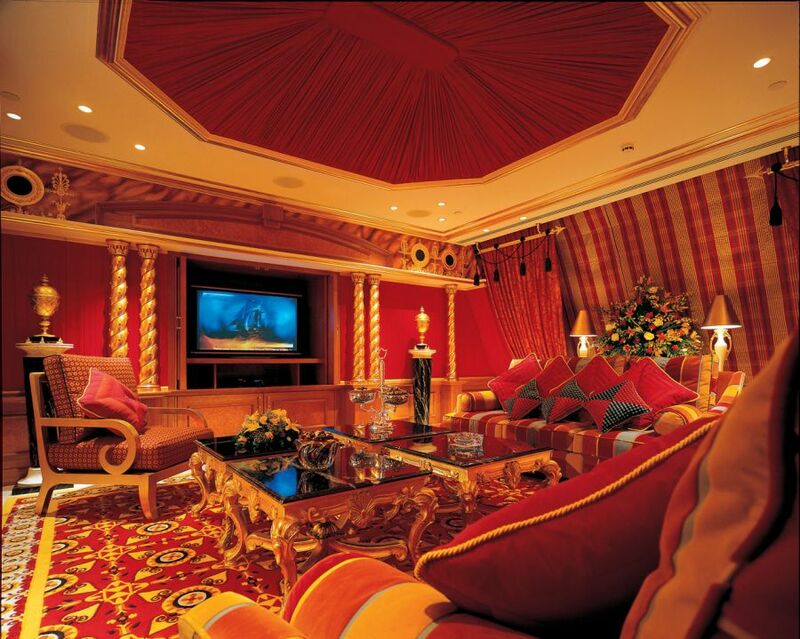 The hotel belongs to the holding of Dubai, most of which is owned by the ruling Maktoum family. After about 40 years of oil wealth that decided to turn Dubai into a financial and magnet for tourists. Before that could happen the emirate had to make a name for itself worldwide. The Burj Al Arab as a key part of this strategy. “The owners wanted to create the most beautiful, luxurious and beautiful hotel, the world has ever seen,” said the manager. A brief on this scale makes it easier for architects and designers to create shared features with only a handful of hotels worldwide. One example is the pet department, where British-born Warren R Baverstock addresses many aquariums in the hotel. “I came to Dubai ten years ago while on the beach and watched the hotel was just delighted,” he said. Back then quickly decided to trade in northern Europe by the desert heat. 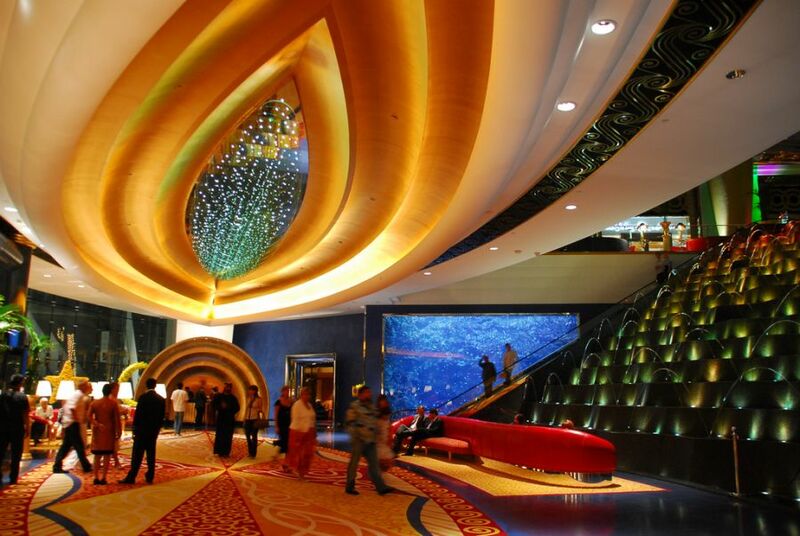 Much has changed in Dubai since the hotel opened its doors in December 1999. The metropolis has continued to grow and where the local population once played impromptu soccer matches next to the hotel, exclusive apartments and hotels have multiplied. 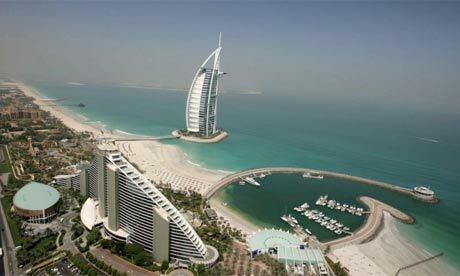 However, the staff at the Burj Al Arab does not fear competition from new resorts and the spectacular new Palm Island. Creation of the Dubai firm is no longer alone and in December this year is ready to be eclipsed by the new Burj Dubai, the tallest structure in the world projected to more than 160 plants. The new hotel has been much speculation about its precise height – the official word is that it stands at over 800 meters – along with the opening date and scale of a proposed public celebrations to mark its creation. Investment costs are no secret and is well known in Dubai latter superlative cost structure around one billion dollars to build.